Sriracha is by far my favorite condiment. 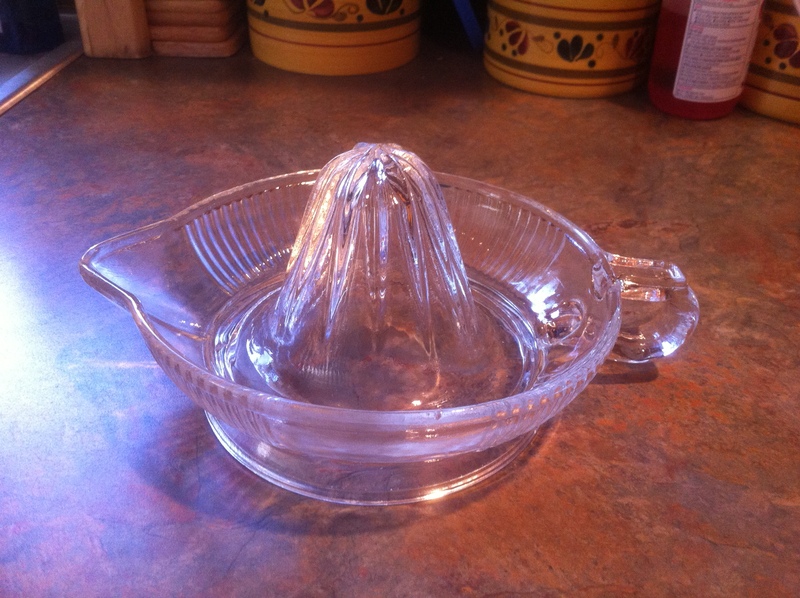 Whether I am cooking with it or using it in place of ketchup I absolutely love it. 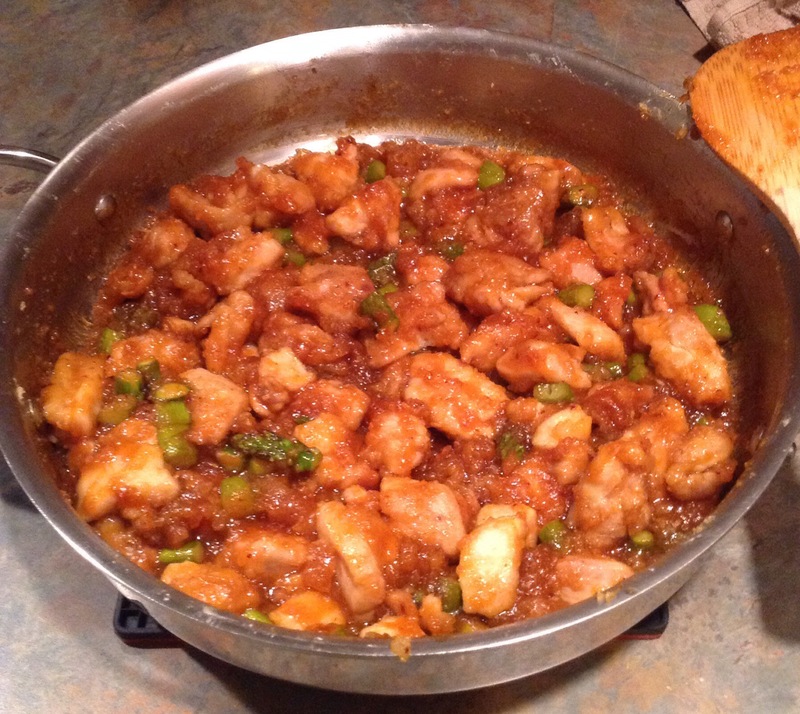 Take out orange chicken from the local Chinese restaurant was the inspiration for this dish and the sriracha takes it up a notch. There is no need to order take out when this dish comes together in the same thirty minutes it would take for the delivery guy to knock on your door. 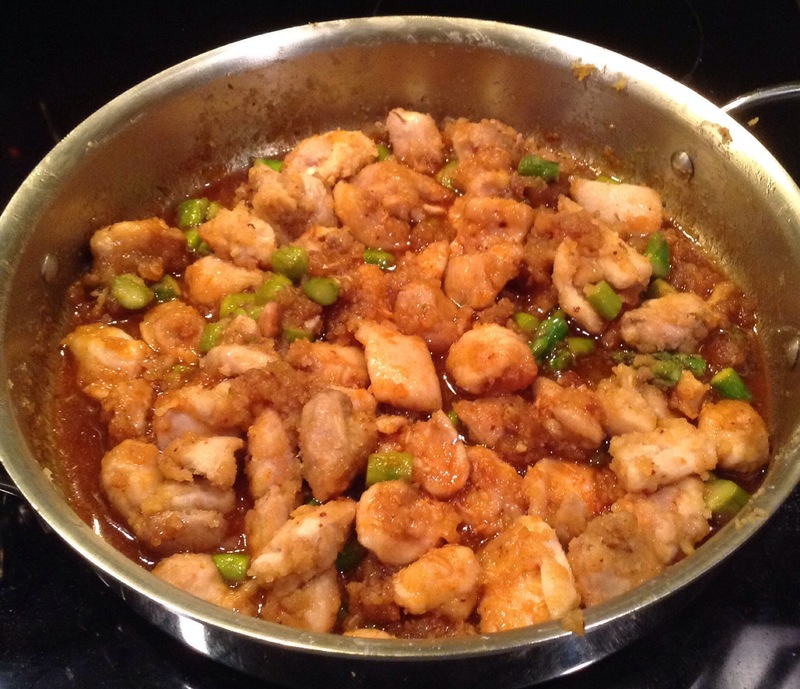 Start by heating two tablespoons of sesame oil in a large skillet. 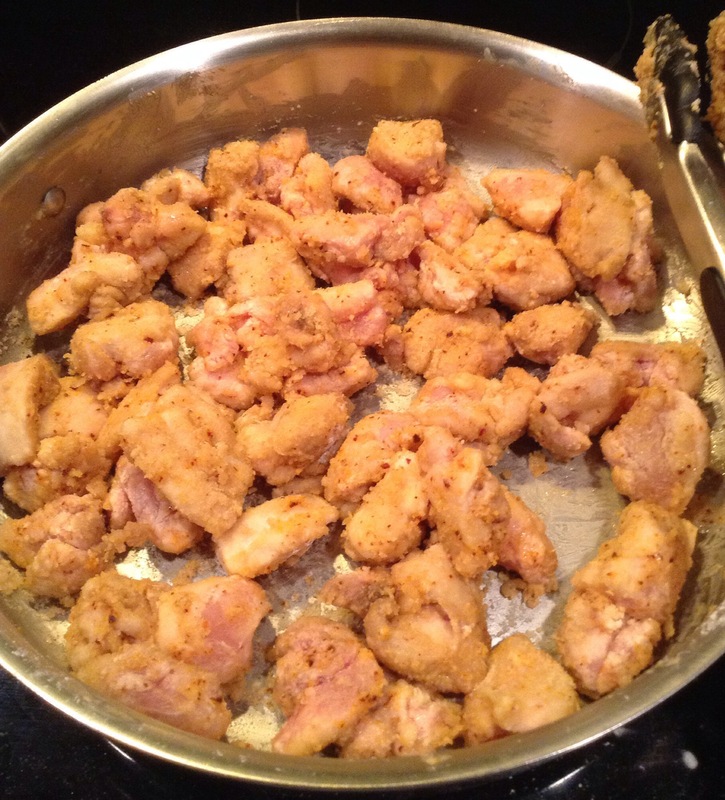 Cut one pound of boneless skinless chicken thighs into bite size pieces. Coat in corn starch seasoned with chili pepper, white pepper and salt. My favorite method for this is to shake the chicken pieces around with the corn starch mix in a ziplock bag. 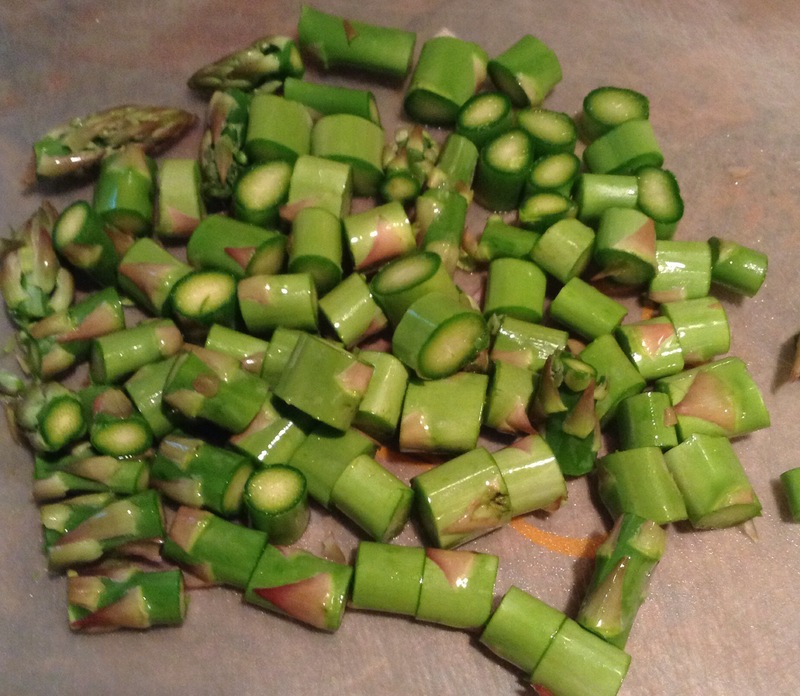 While the chicken is browning, cut up one small bunch of asparagus into small pieces. Take advantage of the delicious fresh asparagus while it is in season. When the chicken is browned, but not quite cooked through add in the asparagus pieces and continue sautéing. The chicken will take approximately fifteen minutes to brown nicely. While the chicken and asparagus are cooking through, it is time to whisk the sauce together. It will take an additional five minutes or so for them to cook through. In addition to sriracha, garlic and ginger add flavor to the sauce. 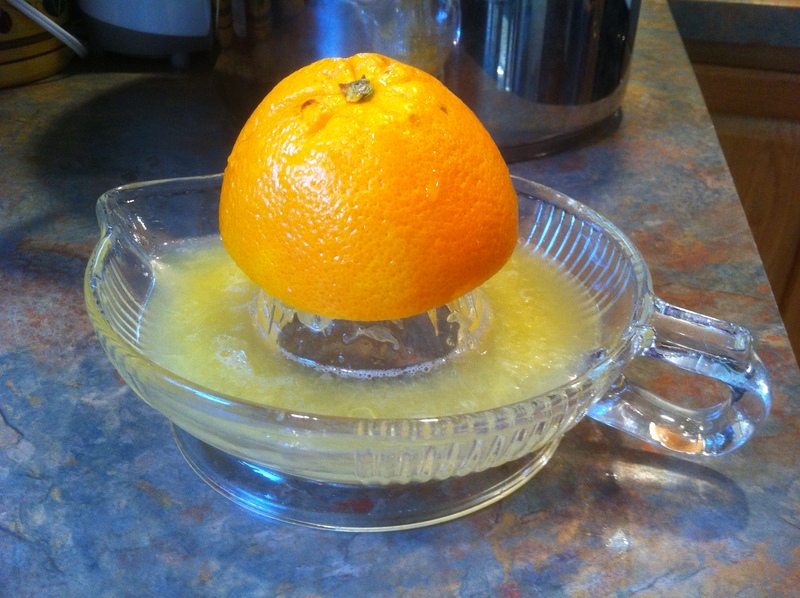 In a medium mixing bowl, add the zest and juice of two oranges, two tablespoons (more or less depending on how much heat you want) of sriracha, four tablespoons of low sodium soy sauce, two tablespoons of honey, two tablespoons of mirin, six cloves garlic grated and a one inch piece of ginger grated. Whisk together until well combined. 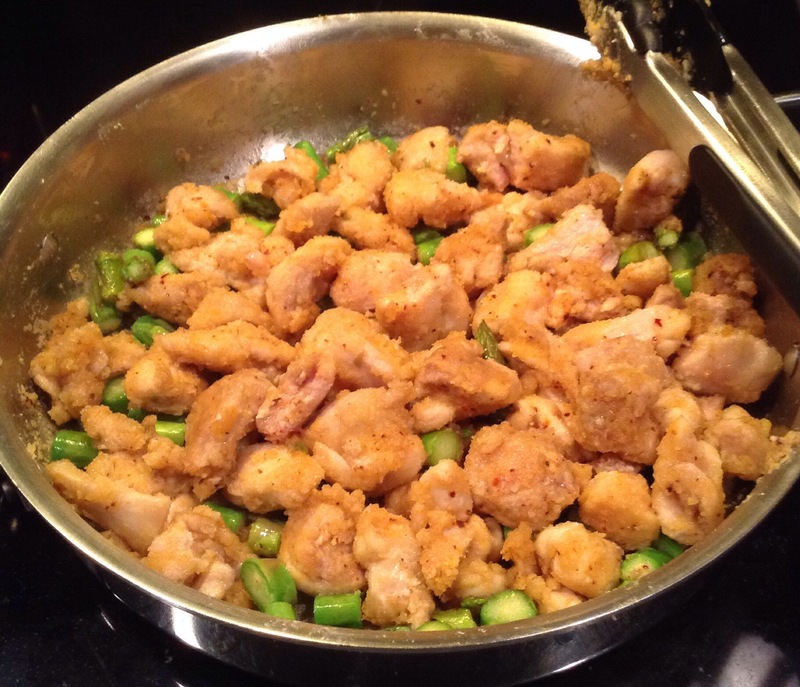 Pour the sauce over the chicken and asparagus. 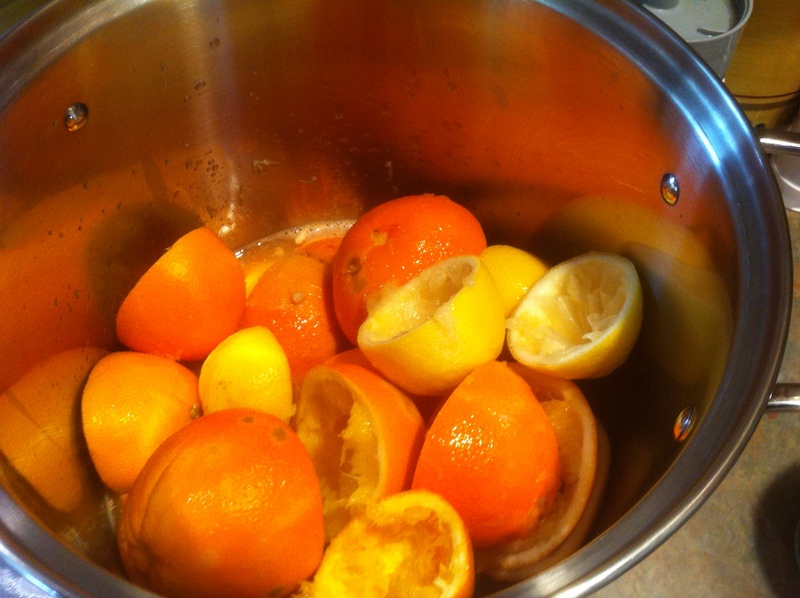 Bring to a boil and then turn the heat down to low and simmer. It will not take long for the sauce to thicken. Five minutes or so is all it will take. The dish is ready when the sauce is thickened up. All you need to do now is plate it up! 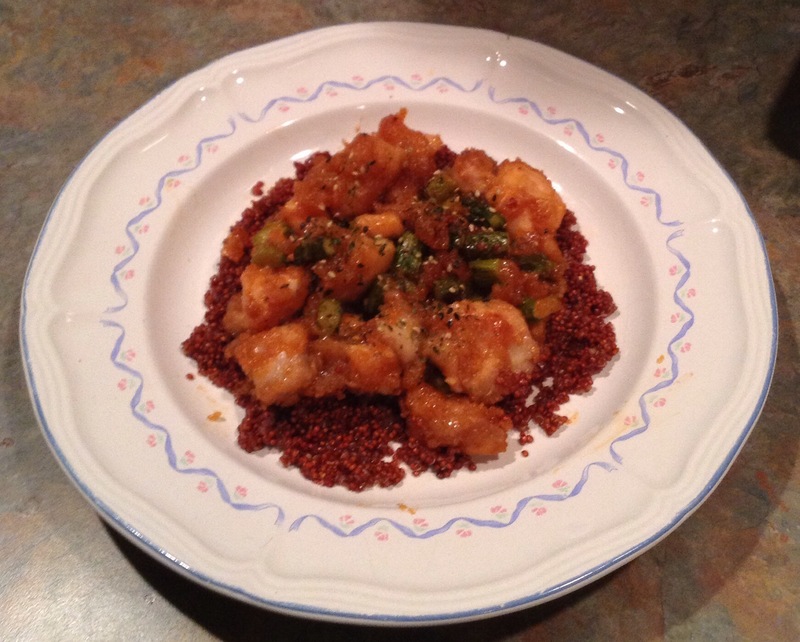 I served it over red quinoa but it would be equally delicious over rice or noodles. 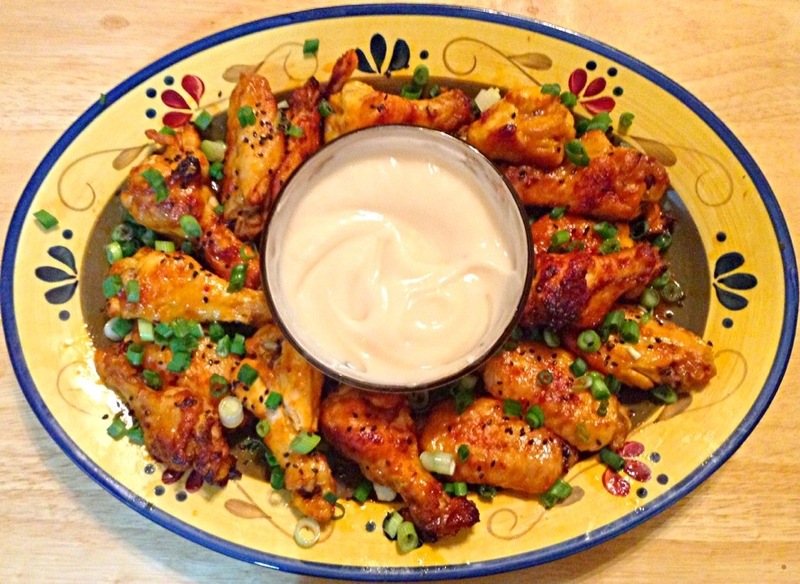 I am a little behind the eight ball with posting my version of Super Bowl wings, but here they are. I absolutely love sriracha. The idea for these wings came from a local restaurant who serves them; but alas, I could not eat them being as they were fried in peanut oil. So, I came home on a mission to create my own. To make myself feel better about eating wings, these are baked instead of fried. Divide eight wings into wing and drumette. Toss in a small amount of olive oil, salt and pepper. Place into a broiler safe baking dish and bake at 375* for fifty to sixty minutes until crisp. Two of my absolute favorite ingredients! These are the foundation for my wing sauce. Heat a small sauce pan over medium-low heat. Melt one-half cup of earth balance or butter of your choice. We use earth balance since we are dairy free. Add one-half cup sriracha, two tablespoons of chili garlic sauce, and one tablespoon of mirin to add a touch of sweetness. We like it hot! For a milder version, adjust the sriracha and and chili garlic sauce. I would probably half them. Mix one tablespoon of corn starch with a small amount of water to form a slurry and mix into the sauce. Simmer a few minutes until thickened. For the dipping sauce, simply mix twelve ounces of plain yogurt with two tablespoons of honey. I use coconut yogurt, but plain greek yogurt would work well also. 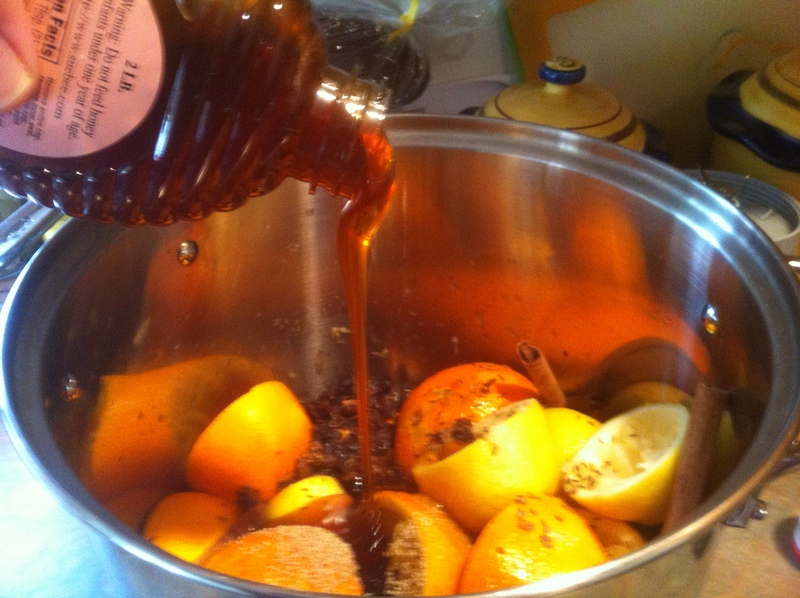 Whenever possible, use local honey. Not only are you supporting a local beekeeper, but there are also further health benefits. 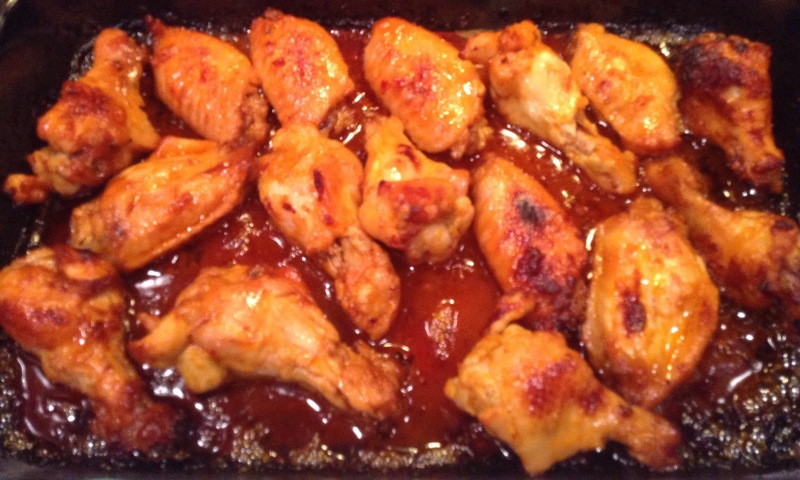 When the wings are nice and crispy, carefully toss in the sauce and put them back into the baking dish. Switch the oven to broil and broil until nicely browned. Serve topped with toasted sesame seeds and sliced scallions. These wings are a delicious combination of hot, sweet and savory. I think my hubby and I could have easily enjoyed twice as many! On a side note, Melissa’s Menu is two years old! Thank you all for reading. I appreciate the support, comments, and bonds I’ve formed over food the past two years! 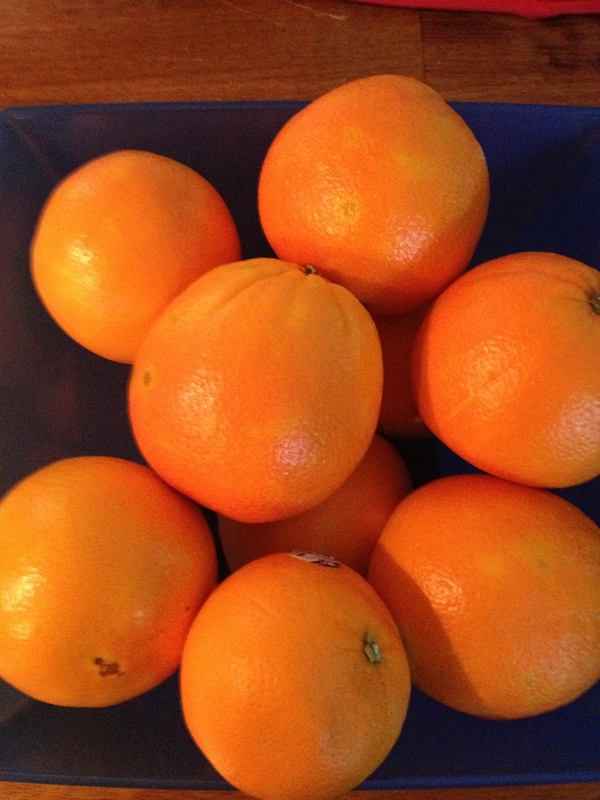 In the summertime, I start craving light and refreshing meals. Who wants to eat a heavy meal when the temperature is climbing to 100*, or worse, more! Not me! This meal was born of that craving. We picked up a pound of shrimp and a pound of scallops. Now, what to do with them?? 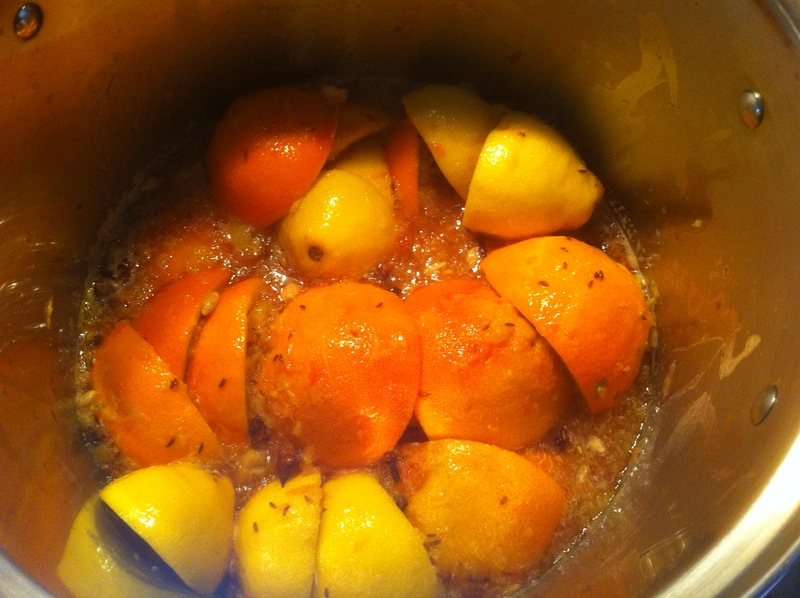 I went through the cupboard and came up with quick easy marinade with a little kick. Into a dish large enough for the shrimp and scallops goes one cup of serrano honey vinegar, a couple of tablespoons of extra virgin olive oil, a liberal squirt of sriracha, sea salt, fresh cracked black pepper, and some red pepper flakes. 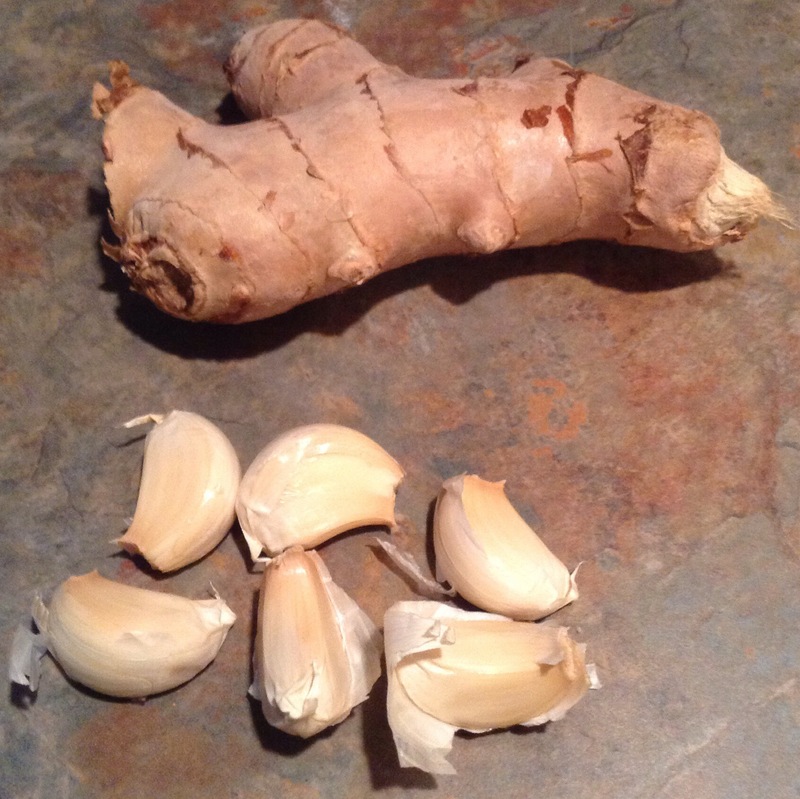 Using a microplane, grate two cloves of garlic into the mixture. Whisk up, and place the shrimp and scallops into the dish. If you don’t have serrano honey vinegar, go get some! I am loving this vinegar right now. It is the perfect combination of sweet and spicy. If going out and getting some is not an option, any white or light tasting balsamic would work. A dark or heavy balsamic would overpower the shrimp and scallops. Sririacha, what can I say about sriracha? 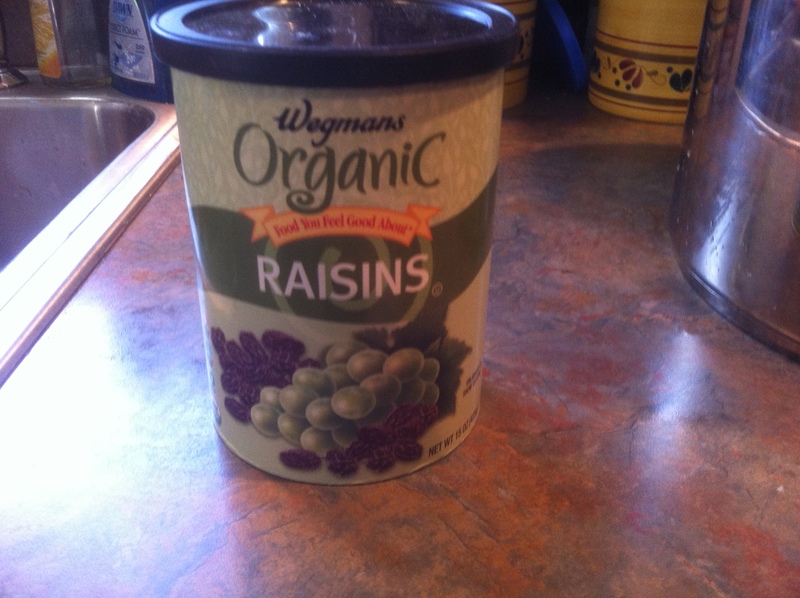 This is a MUST have ingredient in my house. 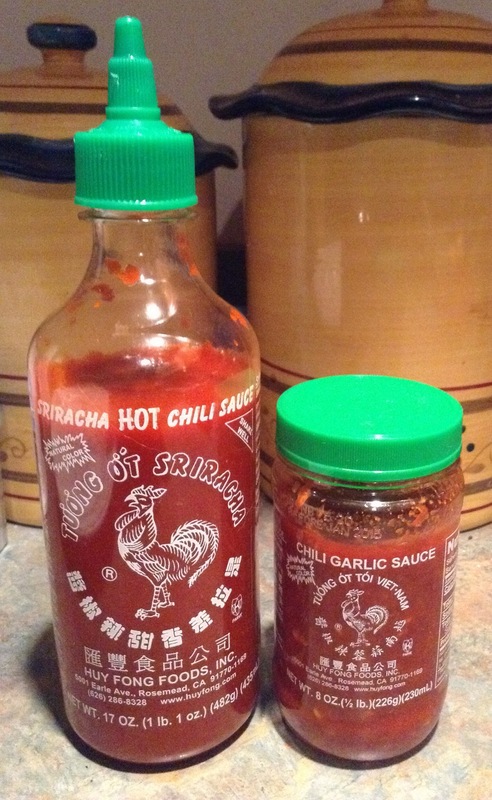 If you don’t have sriracha, another hot sauce would work. Allow the shrimp and scallops to marinate for about an hour. Occasionally, toss them gently to ensure that they are well coated in the marinade. Once they are done marinating, it’s time to put them on skewers! I put all shrimp and all scallops because the shrimp cook a little faster than the shrimp. Have them all skewered? Time to go out to the grill. Over medium heat, place the scallop skewers on first. The scallops will require about three minutes per side, the shrimp only required two minutes per side. If it rains, as it threatened to here, these could easily be pan-seared and be just as tasty! While they are grilling, there is time to mix up a fabulous dipping sauce. Whisk together one cup of vegenaise (or mayonnaise would work), one-quarter cup of sriracha, and one-quarter cup of honey. Perfect balance! We served them up with an edamame salad and asian broccoli slaw. Light, refreshing and delicious! This is summer eating at it’s best! Not long after I wake up on a Sunday morning, I start thinking about what to make for Sunday breakfast. 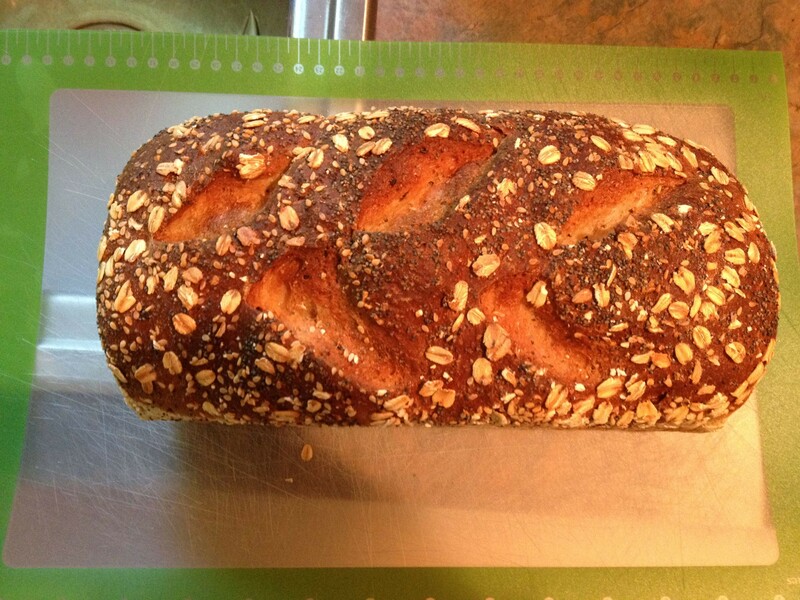 One Sunday morning, there was a loaf of fresh, organic whole grain bread just waiting for me on the kitchen counter. 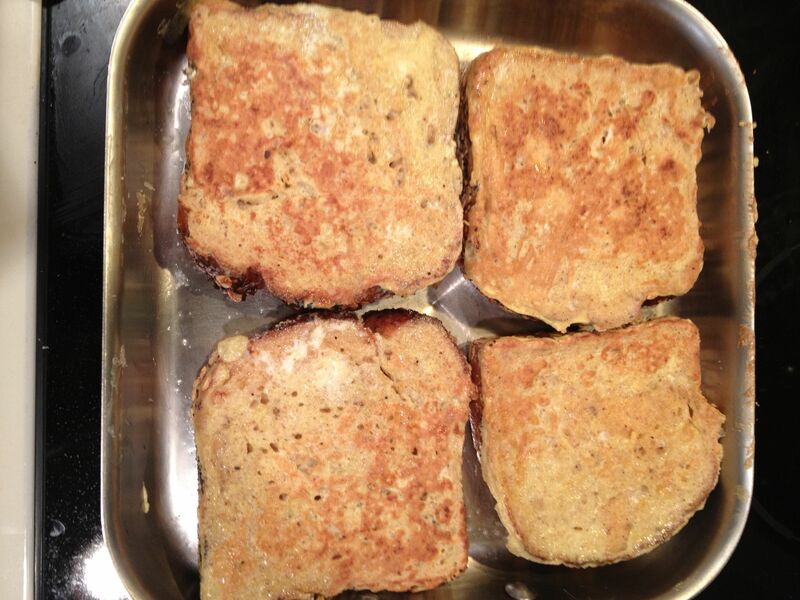 This was a no brainer, french toast! The loaf of bread got sliced up into eight nice size pieces while a skillet gets heated over medium-high heat on the stove top. 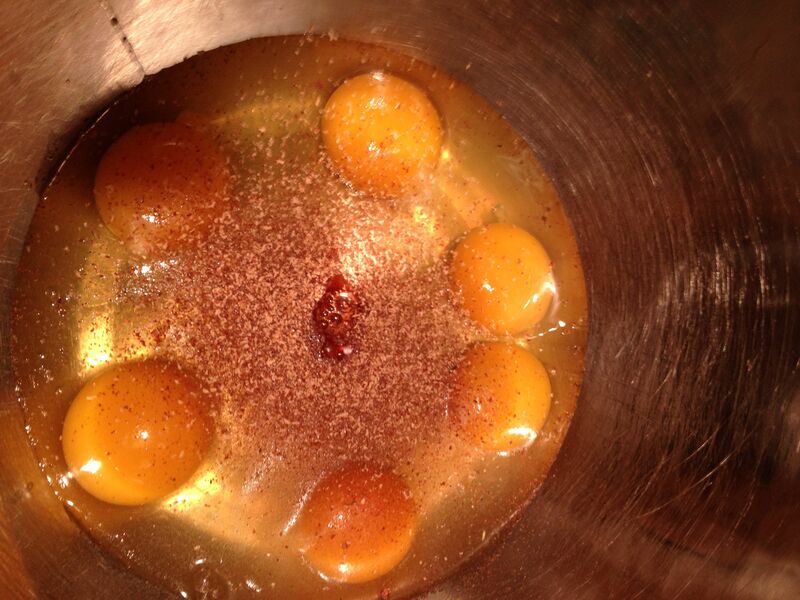 Whisk together six eggs, a cup or so of plain soy milk, and a splash of vanilla, grate some whole nutmeg and cinnamon bark into the egg mixture. Be generous! 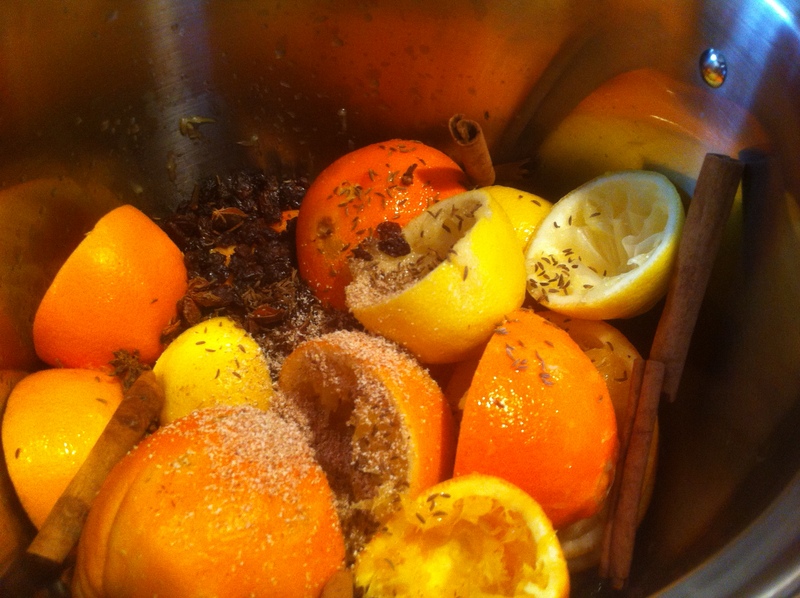 Maybe a tablespoon or so of each….the kitchen smells fabulous already! 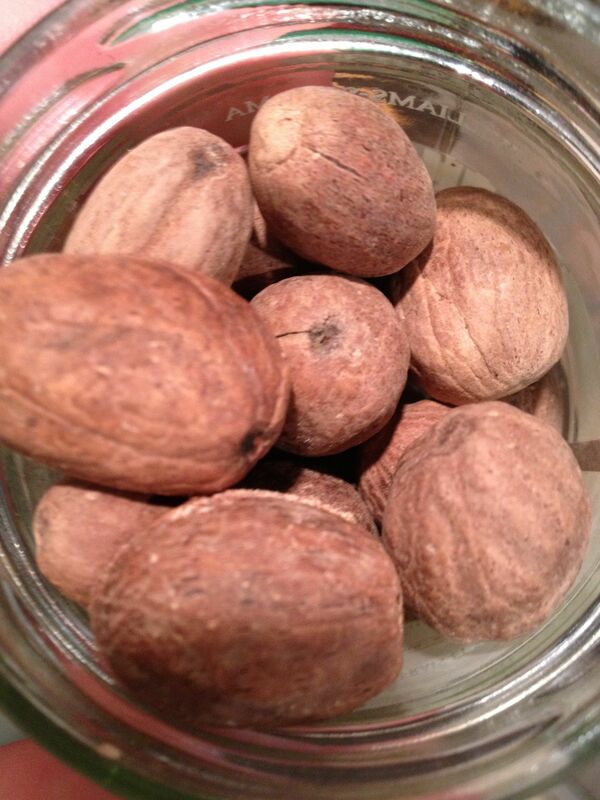 That’s right….whole nutmeg! It is so worth the flavor to grate it yourself! 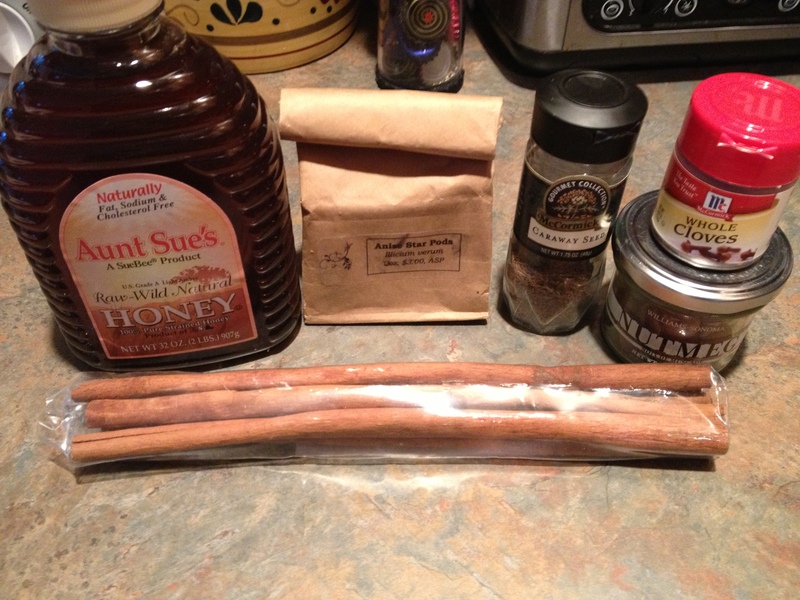 Cinnamon bark…think cinnamon stick, only larger! Into the skillet, a tablespoon of non-dairy butter (I like Earth Balance, but whatever you have). 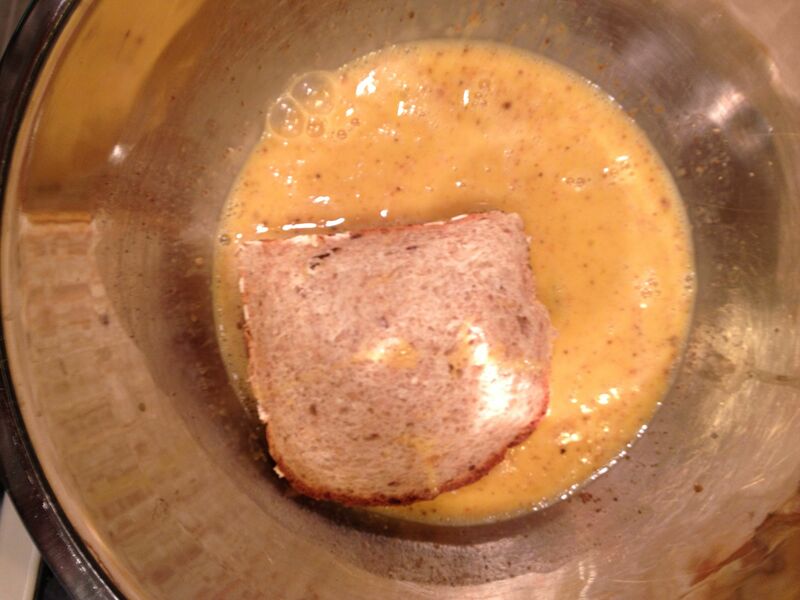 Dip the bread into the egg mixture and allow it to absorb a healthy amount. Into the skillet it goes. Cook a few minutes per side until nicely browned. 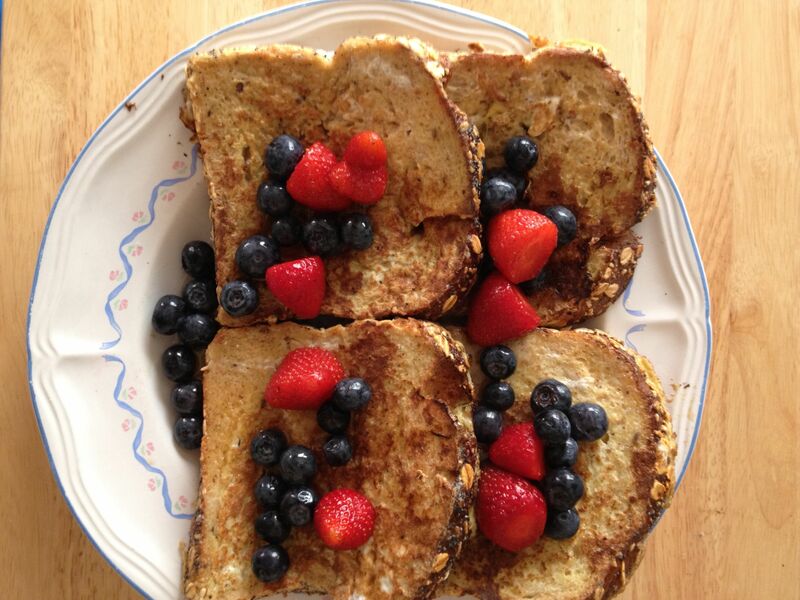 Topped with some honey, strawberries and blueberries it is a savory sweet delight just waiting to be enjoyed! Farmers’ Market Season at last! One of my favorite ways to spend the day this time of year is strolling around the farmers’ market. I love the sights, smells, tastes and sounds that surround me. Kudos to my hubby for sharing some of the pictures of my favorite local farmers’ market….Easton Farmers’ Market. Another great thing about the farmers’ market? The people!! Most of the vendors are more than willing to talk to you about their wares, whether it is produce, bread, or fabulous farm bags! One thing to keep in mind when deciding to head out to the farmers’ market is the type of market. If you truly want to support your local farmers, make sure to go to a producer-only market. These market only allow vendors to sell their own produce, grown on their own farms. Or products made by the vendor themselves. No large wholesalers allowed! The farmers’ market inspires me more than anything else. I will pick up a strange-looking veggie (like the kohlrabi I discovered a few weeks ago) and take it home to try it after talking to the farmer about it. My poor hubby will eat (and actually enjoy) fresh green garlic I mistook for spring onions, too. I would never do this in the grocery store. Lets talk more about the kohlrabi I came upon a few weeks ago. If you have ever seen it, you know it is strange-looking! I couldn’t resist the bright purple color and beautiful greens. I am so glad I spoke to the farmer about it and decided to try it! It has the texture of a turnip, but a sweeter, more delicate flavor. 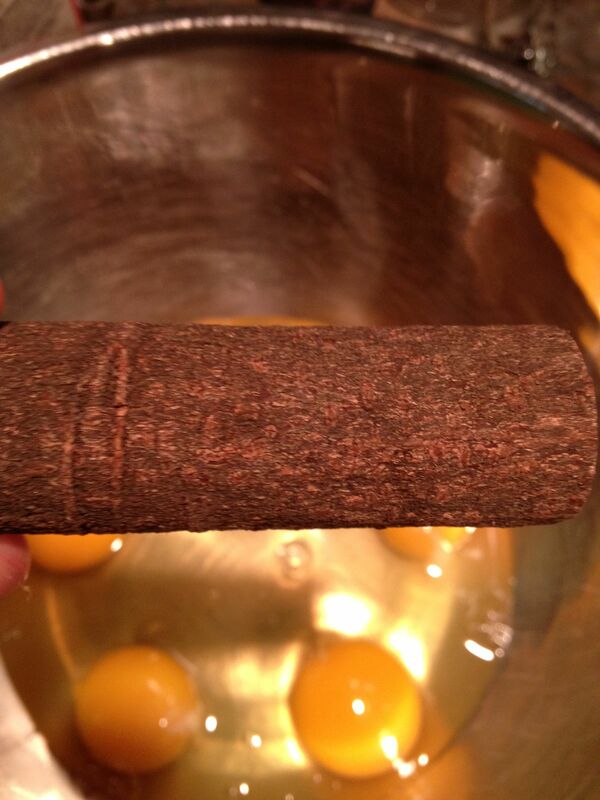 I used it in place of potatoes in Doro Wat….YUM! Anyone who knows me knows I LOVE MUSHROOMS! Another great find?? Organic mushrooms fresh from the dirt! How could I resist?? A pound of each please? Oysters, creminis and shitakes go into my bag! The possibilities are endless! Kale? I never knew there were so many varieties! 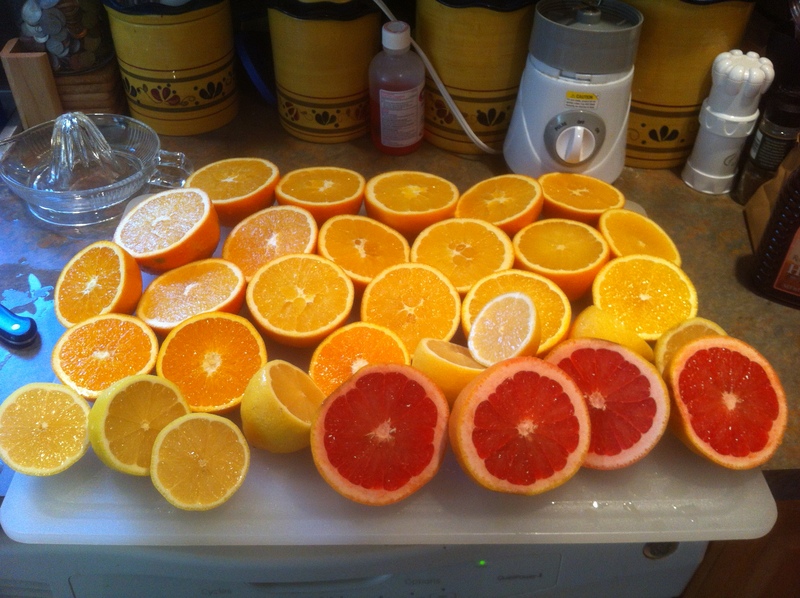 Tuscan, russian, redbor, siberian….I love them all and they are so good for you! Sautéed with the above mushrooms it makes a great topping for steak! 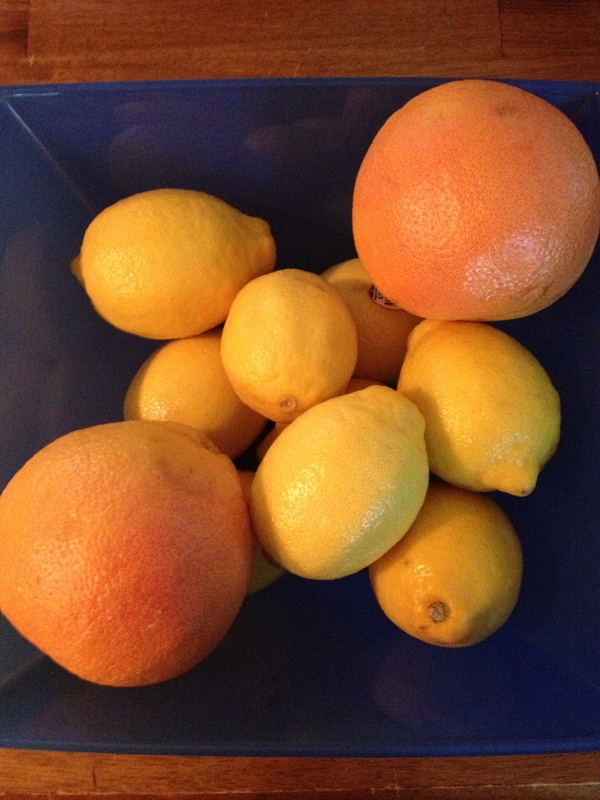 We are also lucky enough to have a local apiary at the farmers’ market. We now have raw unfiltered honey, solid honey, and traditional liquid honey in the cupboard. Our only regret is that he has been sold out of honeycomb and we have to wait for the bees to produce more. 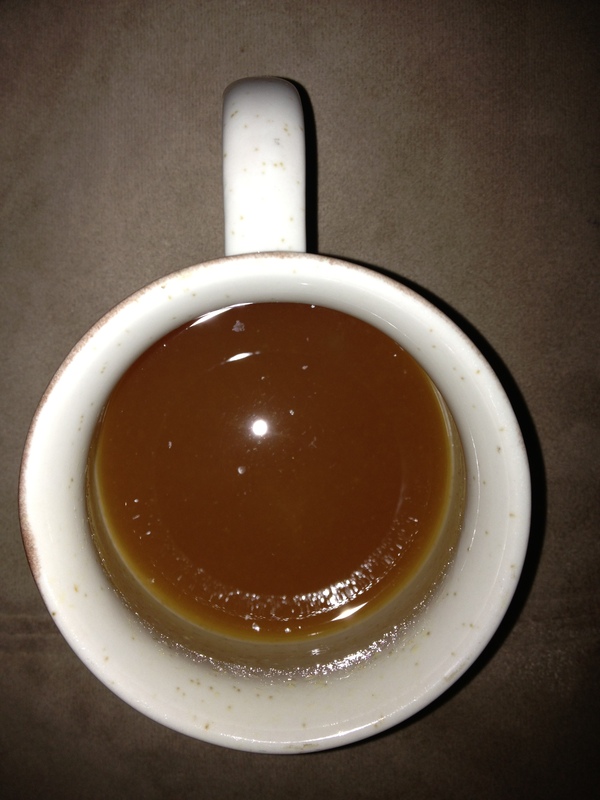 My favorite way to enjoy honey? On a spoon as is! I can’t say enough about the breads. Honey whole wheat, whole grain, epi loaves, focaccia, even a chocolate cherry sourdough! French toast? Yes, please. Bread pudding? Yes, please! This weekend as we strolled, a local chef was creating a fabulous looking cheese steak sandwich. Hold the cheese on mine, please? His creation was called the “local”, as all the ingredients were from the market. Organic veal, arugula, roasted red peppers, truffle aoili, white cheddar (not on mine, but my hubby enjoyed), on a fabulous crusty bread. Best, yummiest steak sandwich I ever had! One of the most enjoyable parts of the day?? Coming home, after spending the day in the fresh air buying fabulous local foods and unpacking the bounty onto the kitchen counter. Most days, the items get placed in my bags, thrown over my shoulder and forgotten about. The creative juices really start flowing as I unpack my precious cargo. thoughts of meals for the week dance in my head. Recipes (sometimes seen here) are begun, sometimes scribbled down right on the spot! I could probably go on all day about how much I love farmers’ market and the inspiration I find at them, but I won’t bore you. I will however, recommend that you go out and find a producer-only local farmers’ market you love as much as I love mine.